Common colors used in print and packaging. Coming Soon. Call Customer Service for more details. We all know that solid color printing, also known as offset or spot color printing, is accurate, but also expensive. Therefore, we developed two guides for process printing that help you achieve the closest match to PMS when budgets are tight. We print our colors on commonly used, globally available paper stocks. Our coated guide is #1 grade 100lb gloss text stock (148 g/m2) and the uncoated guide is premium grade 80lb text stock (118 g/m2). Understanding the difference between spot and process is incredibly important in setting color expectations from design intention to production and when transitioning from a computer screen to the printing press. 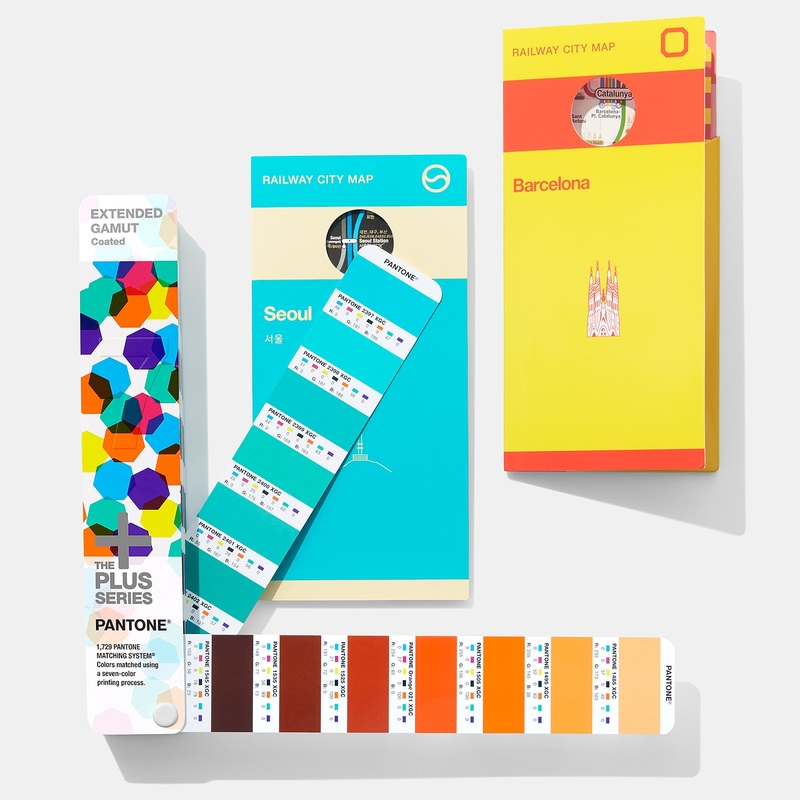 Solid color printing, also known as spot or offset, is the printing process using ink mixed using a precise formulation, such as Pantone 137. Alternatively, process printing, also known as digital printing,is the process of printing colors using Cyan, Magenta, Yellow and Black (CMYK). Orange, Green, and Violet are added to the CMYK process to expand the color range. Formula guide is named that because it’s the only guide in the system that includes ink formulations! Color Bridge is the only guide in the system that includes RGB and Hex values.